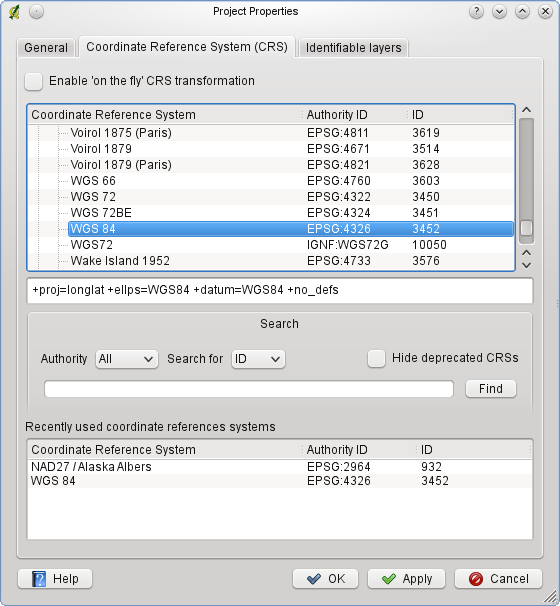 If you want to define the coordinate reference system for a certain layer without CRS information, you can also do that in the General tab of the raster (4.3.4) and vector (3.4.8) properties dialog. 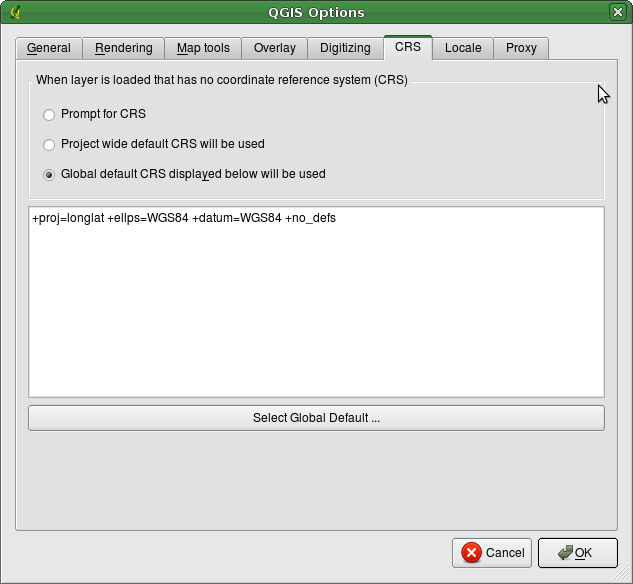 If your layer already has a CRS defined, it will be displayed as shown in Figure 3.6. 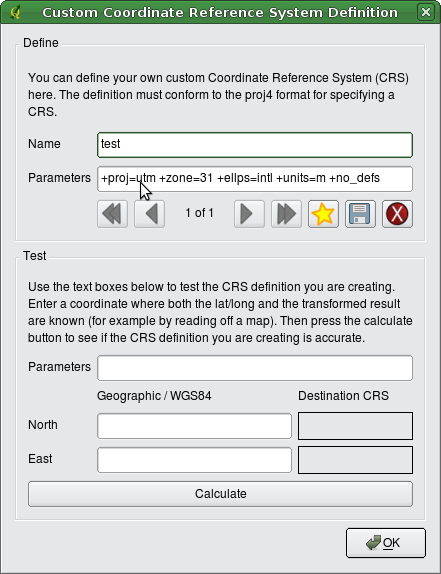 新しいCRSを作成するには 新規 ボタンをクリックして、 名称とCRSパラメータを入力します。 その後 保存 ボタンをクリックしてCRSを保存します。.